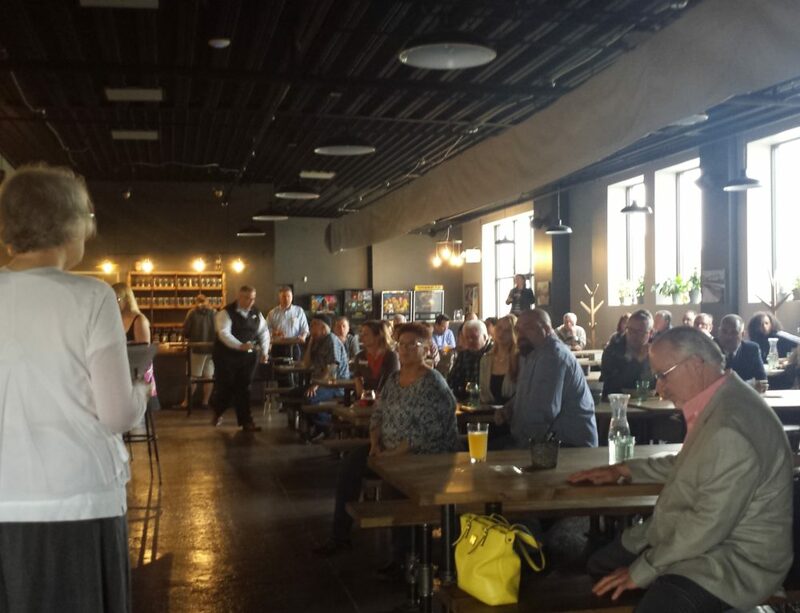 Central to our mission at ARCH is to advocate for our historic resources threatened by vacancy, neglect, demolition, or any other number of threats. The annual Endangered List helps ARCH raise awareness of these vulnerable properties, so that we can better identify ways to mitigate those threats. We believe these places have significant value and incredible potential, and ARCH will work tirelessly throughout the year to find positive, preservation solutions. FW Park Resources: Foster Park Pavilion No. 3, Footbridges—Park resources of concern include the Foster Park Pavilion No. 3 and area park footbridges. Foster Park Pavilion 3 is a Park-Rustic structure and has been an endangered resource for many years. Park Footbridges are a reflection of our park’s past and a link to one of their most important current and future uses as places to walk, and they add historic character to our shared public spaces. However, they are costly to maintain, and many have been neglected for years. In particular, the Mechanic Street Bridge has been closed and mis in need of significant repairs. Other footbridges, including those in Foster and Lawton parks are also in need of costly repairs. 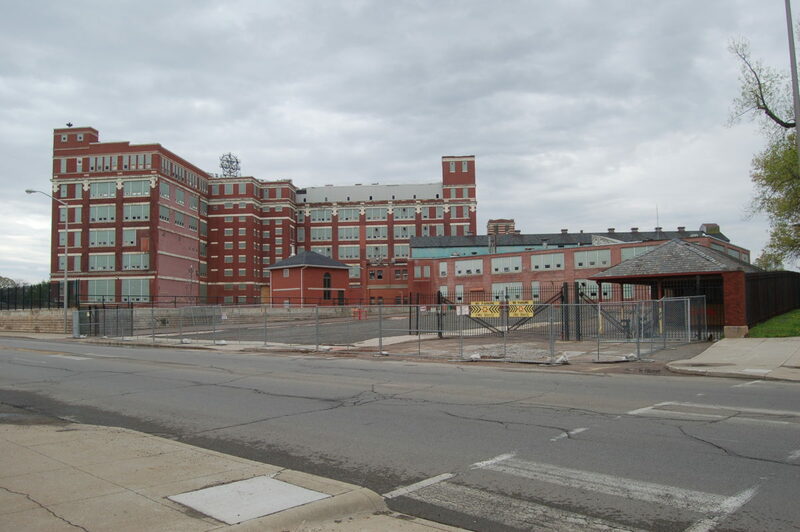 General Electric Campus: Despite its new owners’ interest and plans to redevelop the west and east campuses on both sides of Broadway, including accurate historic preservation of the main buildings there, ARCH is including this important community resource on its Endangered List until project funding is assembled and the project’s ability to move forward is assured. 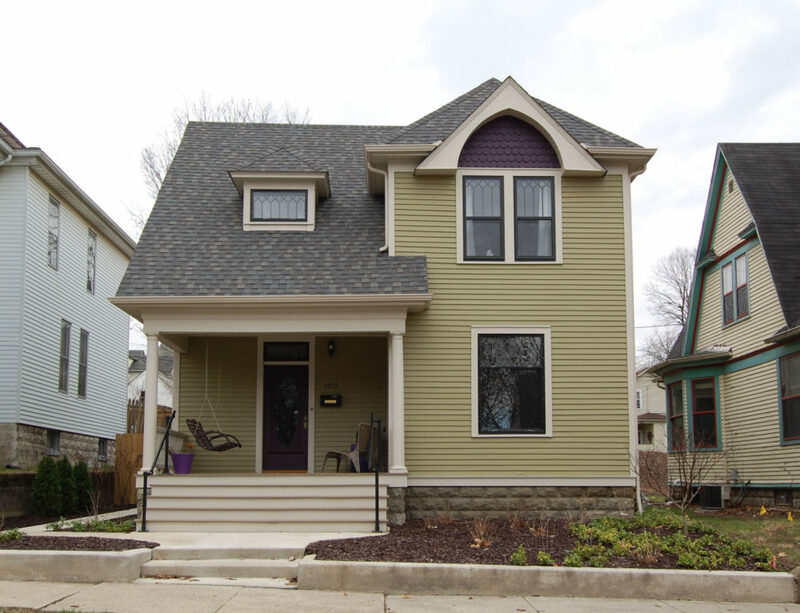 Paul Kinder House, West Washington Boulevard: As interest in building a downtown arena continues to grow, the threat to this impressive Craftsman-style home looms imminent. An outstanding and intact example of the Craftsman-style, ARCH believes this home should be saved. Oddfellows Lodge: After standing vacant for many years, the A.M. Strauss designed Odd Fellows Lodge, on East Jefferson Boulevard downtown, was purchased in July 2015 by Northeast Indiana Public Radio. However, preliminary design plans for the rehabilitation of this building are unsympathetic to the Strauss’s original Art Moderne-style design. ARCH is hopeful that a compromise between “old” and “new” can be found for this downtown Mid-Century Modern landmark. Roadside Architecture: Dawson’s Root Beer Stand and the Humpty Dumpty Stand—Known for serving the best root beer and coney dogs in the city, the Dawson’s Root Beer roadside was very recently torn down after sitting vacant at the corner of South Anthony and Rudisill Boulevards. A similar roadside stand, the Humpty Dumpty, also sits vacant on Fairfield Avenue and has suffered damage from high winds. 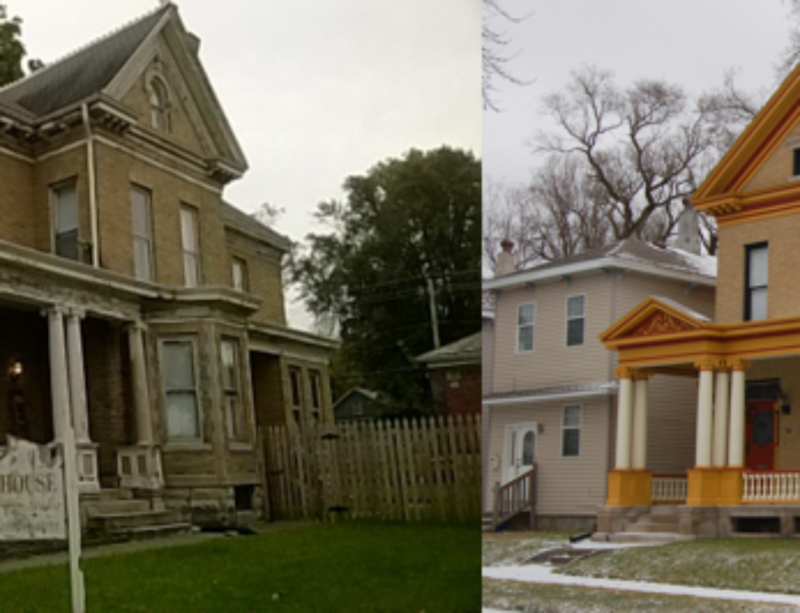 Today, these Fort Wayne treasures are threatened with demolition and vacancy, but ARCH is hopeful that both buildings could be relocated and renewed to capitalize on their still-valuable potential. Fort Wayne Bible College: Shultz, Bethany and Hausser Halls – Bethany and Schultz Halls, located on the north side of West Rudisill Blvd, and Hausser Hall, on the north side of Lexington Ave, are threatened by vacancy and uncertainty over future use after redevelopment proposals in 2015 were abandoned. F. Bleke Farmhouse, Lima Road – A reminder of Allen County’s agricultural beginnings, this c. 1875 farmhouse was built by Charles F. Bleke. After years of neglect, the property was sold in 2016 as development property and its future remains uncertain. The Bleke Farmhouse is representative of many historic farmhouses across Allen County that are threatened by demolition and new development. Canal House: Surrounded by a parking lot and vacant bus depot, the vacant Canal House is threatened by new development in the area. Due to its unique masonry construction, the Canal House cannot be moved. 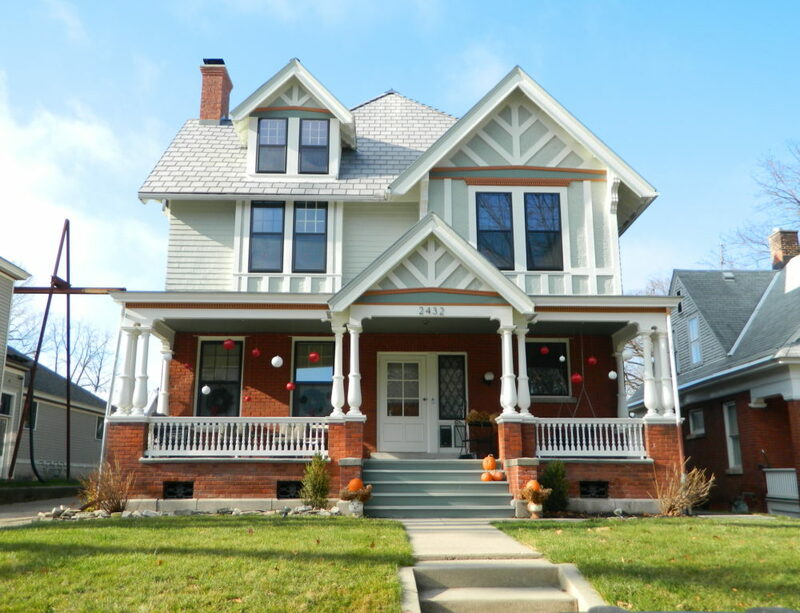 3325 Wells Street: Truly one of a kind, this house features a 20th century American Foursquare form, with Queen Anne-style influences and is constructed with solid stone. The house is owned by the Fort Wayne Children’s Zoo and used for storage, but a lack of maintenance to the building puts it in jeopardy of demolition by neglect. The elaborate full-width porch has already been lost due to deterioration. Rialto Theater: Opened in 1924, the Rialto Theater has sat vacant since a previous developer abandoned plans for the building in 2010, making the future of the theater uncertain. Earl Knight Filling Station: The historic Earl Knight Filling Station, 2624 Sherman Boulevard, is threatened by demolition after the City of Fort Wayne announced plans to redesign the historic Five Points intersection last year. Known today as the home of North Side Bait & Tackle, this Tudor-Revival style filling station dates to c. 1926 and is significant for its architecture and as a transportation-oriented resource along the Lincoln Highway’s original route through Fort Wayne.